Can I give my children foods sweetened with no- and low-calories sweeteners? Noncaloric sweeteners, also called no- and low-calorie sweeteners, or sugar substitutes, add sweetness to foods and beverages without adding calories. According to the Academy of Nutrition and Dietetics, foods and beverages sweetened with noncaloric sweeteners can be incorporated into a healthy eating plan. Noncaloric sweeteners can help make reduced-calorie foods and beverages taste better, which can help in long-term weight maintenance. Keep in mind that products containing noncaloric sweeteners may not be calorie-free or fat-free. 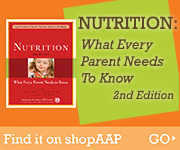 Check the food labels for nutritional information. Due to limited studies in children, the American Academy of Pediatrics (AAP) has no official recommendations regarding the use of noncaloric sweeteners. The following is a chart of noncaloric sweeteners approved by the US Food and Drug Administration (FDA). Do not cause or increase the risk of other health conditions. Sweetness and taste vary among sweeteners.